Home / Archive / [Archive] BT Showcase changes: who can still access the channel? [Archive] BT Showcase changes: who can still access the channel? Some viewers have discovered they won't be able to watch the last few European football fixtures of the season on BT's Freeview channel. On Tuesday 9th May 2017, BT completed its migration of BT Showcase from standard definition Freeview channel 59 to HD channel 115. Doing so, overall coverage of the channel declined from 90% of UK households to around 75%. Of the 75%, viewers are required to use newer Freeview HD compatible devices to see the channel and may need to retune to add the channel to their line-up. Who can still get BT Showcase? You need a device that supports Freeview HD or Freeview Play. Can you already receive more than the main five channels in HD on Freeview? E.g. BBC Four HD, QVC HD? If QVC HD is in your channel line up, then you'll get BT Showcase on channel 115. You may need to retune. If you only get channels 101 - 105 in HD on Freeview and nothing after 105, you're not in the coverage area. The coverage of BT Showcase HD and similar channels is around 3/4 of UK households. This includes most of England's main cities, plus Cardiff in Wales; most, but not every household in the Scottish cities of Aberdeen, Glasgow and Edinburgh as well as Belfast in Northern Ireland. Because of changes planned to the Freeview service around 2020, coverage has not been expanded to cover the same number of households as many of the standard definition TV services. Viewers can check to see if they are predicted to be in the Freeview HD coverage area of BT Showcase HD at https://www.freeview.co.uk/channels-at-your-address On the results screen, look for Freeview HD channels. If it talks about receiving 6 HD channels in your area, you are out of coverage. Depending on coverage, some viewers may just need to upgrade to Freeview HD or Freeview Play to get BT Showcase HD, but for others it will not be possible to watch BT Showcase on Freeview anymore. 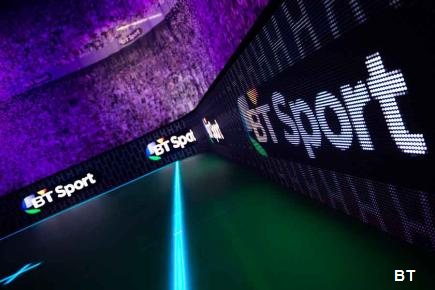 BT says that these viewers will have to use an alternative method of receiving BT Sport, referring viewers to its subscription channel packages. But both Europa League and Champions League finals will also be streamed online for free. A version of the BT Showcase channel is also carried on Virgin Media, but not on Sky or Freesat. On the flip side, the changes to BT Showcase on Freeview will bring about better picture quality for those with continued access to the channel, resolving a major bugbear for some viewers - BT Showcase was previously distributed using a low SD resolution of 544x576. BT Showcase has screened a selection of free-to-air Champions League and Europa League fixtures, including the finals, since the beginning of the 2015/16 season, as part of the rights deal that stipulated that some games would need to be shown on a free-to-air basis, following the award of the UK rights for the first time to a single broadcaster. Additionally, BT Showcase occasionally features sports highlights packages and drama premieres from BT's partnership with AMC, plus Saturday afternoon results show BT Sport Score. But the recent change is just a beginning for further changes to the scope of BT coverage on Freeview. Last week, it was confirmed that Channel 5 would show five Aviva Premiership Rugby fixtures each season on free-to-air television. Until now, Freeview viewers have been able to watch a selection of Premiership Rugby games on BT Showcase. BT is also a year away from its new rights deal with UEFA, which has seen the broadcaster retain Champions League and Europa League rights. The announcements made when the new deal was revealed made no specific reference to traditional free-to-air coverage. Additionally, the capacity that BT Showcase HD is broadcasting on will cease to exist in a few years when Freeview services are reorganised. BT itself has indicated it's moving more toward providing free-to-access clips of coverage on social media and mobile platforms in the future, complementing traditional coverage in SD, HD or UHD via its normal pay TV channels.